Have you EVER experienced a time when you 'forgot' that God was right beside you the whole time? I have. I remember vividly the moment God gently reminded me he had been there, beside me the whole time. I just didn't notice him. It humbled me. It saddened me. I had let him down. My pride had gotten in the way of my knowing. I remember HIM speaking to my heart in that moment and HE said, "Cyndi, I was right there the whole time, I was holding your hand but you never noticed me". Sometimes in our desperate desire to accomplish our purpose that has been set before us, we forget that HE never intended for us to accomplish it alone. Nor with only the support of man. If our purpose can be fulfilled without God, (the one who deposited it within our soul) then it truly couldn't have come from HIM. For what FAITH would we need if we could accomplish our purpose without him. It will take God to do what he has called us to do. Maybe you're in a place right now that you are struggling for answers, for clarity, for direction to your next steps. My prayer for you is that you will remember that God is always with you. 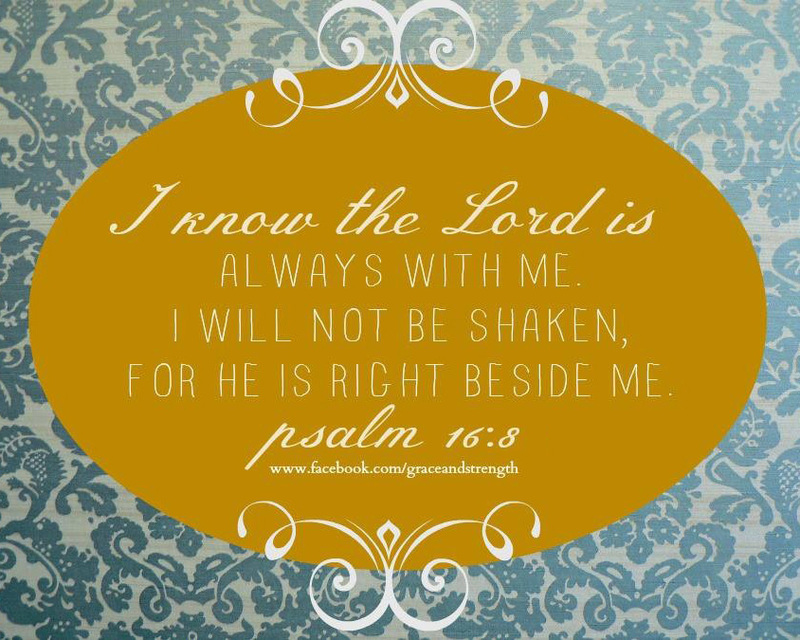 You will not be shaken, for he is right beside you! I challenge you to look beside you, look with your heart, look with your spirit....HE is there. HE has the answers you are looking for.